Zambia : PF achievements under Development outcome No.5: “Improved access to domestic,regional and international markets"
In the last article we highlighted the achievements of the Patriotic Front (PF) Government in line with the PF Manifesto and the Seventh National Development Plan 7NDP, concerning “improving access to domestic, regional and international markets” with the aim of diversifying the economy and attaining Zambia’s Vision 2030 objective of becoming a “prosperous middle-income country by 2030”. Therefore, by connecting domestic and regional cities by road, rail, and air transport including the establishment of a national airline; the PF Government is consistent with prescriptions under the 7NDP and within the framework of the AU Agenda 2063. More importantly, through transport infrastructure development, the PF Government is improving trade facilitation as well as maximizing on the above-mentioned virtuous cycle benefits while also; simultaneously eliminating the vicious circle impediments of low trade volume and high trade costs mentioned above. Additionally, in order to further improve trade facilitation through transport infrastructure development, the PF Government under President Lungu is currently implementing numerous road construction and rehabilitation projects such as the Link Zambia 8000 aimed at Land-Linking Zambia with her neighbors by restoring over 8,000 KM of roads across the country over a period of five (5) to eight (8) years. Particularly, the PF Government will, through the Link Zambia 8000 effectively link Zambia to the trade markets of South Africa, Zimbabwe, Mozambique, Malawi, Tanzania, the Democratic Republic of Congo and Angola – thereby accelerating economic diversification and the attainment of Vision 2030. In addition to the above road project, the PF Government under President Lungu is rehabilitating the Chinsali to Nakonde Border Road in order to facilitate increased trade domestically and with the East African corridor, through the provision of faster and safer movement of goods and people along this important trading route. More specifically, Government, through the Road Development Agency (RDA), has signed two (02) contracts for the rehabilitation of the Great North Road from Chinsali to Nakonde in Muchinga Province, which has been divided into Lot 1 and Lot 2. Lot 1, from Chinsali to Isoka, a 103 kilometre stretch has been awarded to China State Construction Engineering Limited at a contract sum of K 785,773,382. 49 and Lot 2, with a stretch of 107 from Isoka to Nakonde has been awarded to China Railway Seventh Group Co. Zambia Limited at a contract sum of K713, 866,768.53. Lot 2 also includes the urban section of the road to the border with Tanzania. The project is being financed by the African Development Bank (AfDB) which is contributing US Dollar 193Million, Africa Growing Together Fund US Dollar 50Million, and US Dollar 12.76 million from the Government of the Republic of Zambia (GRZ). Government, through RDA, will complete the rehabilitation of the Chinsali to Nakonde Road within 40 months. The scope of works includes but is not limited to: clearing and grubbing, earthworks, bituminous surfacing related works; and road signage and ancillary works. Further to this, the road carriageway will be widened from the current 6.1 metres to 7.0 metres and will include a 2.0 metre wide hard shoulder in order to enhance safety. In addition to the main civil works, the entire project also includes several other components such as the rehabilitation of 50 kilometres of feeder roads in Chinsali and Isoka Districts which are currently under procurement; the planting of 10,000 trees along the project road, and sinking of 15 boreholes at various locations in the surrounding areas along the corridor. The construction of this road will also significantly reduce the loss of human lives and damage to goods and vehicles as a result of the bad state of the road. Another major road construction and rehabilitation project is the Ndola to Lusaka Dual Carriageway, which upon completion, shall boost inclusive economic development as a result of enhanced domestic trade through more efficient flow of goods on this strategic domestic and regional trade route. In line with the 7NDP, the PF Government is also improving trade facilitation through effective and efficient implementation of the One-Stop Border Posts Establishment Programme (OSBP) to streamline cross-border trade processes. For example, Kasumbalesa Border, between the Democratic Republic of Congo (DRC) and Zambia, is the busiest transit border in Zambia and handles an average of 650 trucks per day. Through Kasumbalesa, Zambia’s main exports are sugar, cement, timber, mattresses, acid, mealie-meal, agricultural products, and cooking oil, among others. On the other hand, Zambia mainly imports mineral ores and concentrates from DRC destined for Konkola Copper Mines and Chambishi Copper Smelter in the Copperbelt. In order to expand the potential of this existing bilateral and regional trade through Kasumbalesa border, and enable faster movement of people, the Governments of Zambia and DRC signed an agreement to implement the One-Stop Border Post (OSBP) concept at Kasumbalesa Border. More so, the OSBP concept is being implemented by the PF Government at all other border posts including Nakonde border with the United Republic of Tanzania with the aim of improving trade facilitation with Tanzania and the East African economic hub as a whole. Among other ongoing projects under the OSBP is establishment of an OSBP at Zombe-Kasesya Border in Northern Province between Tanzania and Zambia. The PF Government has successfully secured new markets for various Zambian products. For example, in 2018, the PF Government created a taskforce comprising of Ministries of Livestock and Fisheries, Agriculture, Commerce, Trade and Industry as well as representatives from the private sector. The aim of the taskforce was to develop a roadmap that will help expedite the process of goat and sheep commercialization in Zambia for export to Saudi Arabia, among other markets. Under this agreement facilitated by the PF Government, Saudi Arabia shall be importing one million (1,000,000) goats and fresh vegetables on a monthly basis from Zambia. In addition, the PF Government has also secured a new market for the export of Organic Honey to China. Currently, Zambia’s annual honey production stands at 2,500 tonnes whereas the country currently exports only 1,000 tonnes to the European and African markets, which leaves a surplus of 1,500 tonnes. However, the new market to China secured by the PF Government has the export potential in excess of 3,000 tonnes of Organic Honey. This new export market for Organic Honey in China was secured after the signing of an export protocol by President Edgar Lungu and Chinese President, Xi Jinping. Further to this, the PF Government has expanded and consolidated trade relations with regional partners such as DRC and Angola, among others. As a result, Zambia’s non-copper merchandise exports have steadily grown to traditional and new markets. More specifically, agriculture exports such as sugar, tobacco, wheat, soybean and maize have witnessed aggregate growth in the period under review. As can be deduced from the forgoing, the PF Government in line with PF Manifesto and the 7NDP, has successfully implemented various programmes and recorded notable successes in improving access to domestic, regional and international markets as well as effectively implementing the National Industrial and the National Trade Policies towards the attainment of Vision 2030. Ba Davies go away. You chase journalist, I will do the same. “I run this thing, you want me to speak in Bemba”. Fumeni apa mwemfumu, send your useless article to Chitotela, he needs your comfort. Economist DAVIS MWILA gives an update using grade 8 Civics knowledge to explain his imagination of how the PF economy has penetrated regional market. Bwana Davis Mwila more access to indebtedness and dependency are not “achievements”to be proud of. Zambia only has 3.4 million goats-Livestock Census. Zambia’s total goat population stands at 3,476,790, the latest Livestock and Aquaculture Census . What measures have you put in place to ensure that you achieve the 1000,000 million goats per month export quota, remember we only have 3million current and goats only reproduce twice a year and don’t take 6 weeks like broiler chickens to ready for supu ya mbuzi,’ you have not given us a lay down of how and what you have invested in agriculture to achieve this, we pf cadres love bed time stories, I DON’T. We know your cadres love bed time stories, it’s 4 O’Clock not yet night time, give us a proper lay down of your agricultural policies, muntu nikudya bwino, kunkala bwino,kuvala bwino, nakupushing’a ma files,nakupanga ndalama. Work speaks for itself. Good job keep it up. 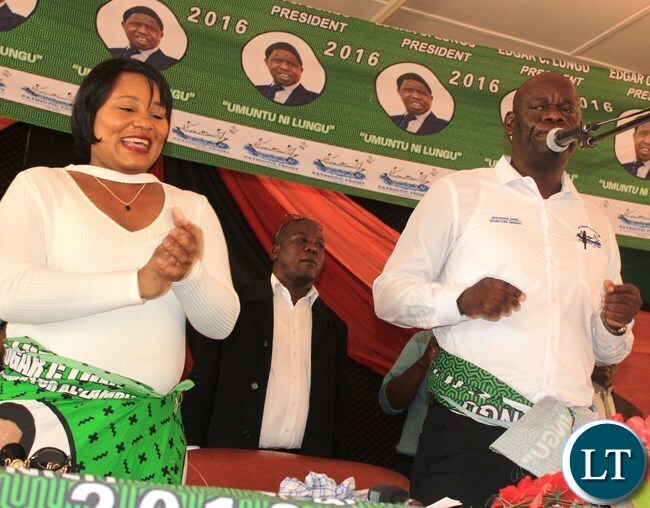 What is honourable with Davies Mwila? lost an election, harasses journalists, colleague with Chitotela the thief and flocks together probably a thief too. Yes, I thought the title of “honourable” is a title bestowed on members of parliament and as far as I know SG is not a cabinet post which would have warranted the SG being nominated to parliament. The fact that lenders can lend Zambia is an achievement in itself. Imagine what you would say about Zimbabwe if you were a Zimbabwean. The financing of the Kariba Rehablitation Works was a problem because while lenders were prepared to lend Zambia they were not prepared to lend Zimbabwe. Doesn’t credit worthiness count for something? Honorable, how? Where? Only elected MPs, even they don’t deserve the title should be called that. That being because they represent the people that elected them. Comment:when will we start funding our own projects currently we have so many taxes and almost all the subsidies have been scraped off MMD had a reason to borrow because they didn’t impose so many taxes on people and they subsidised a lot of things this time around the government will take almost half of your hard earned salary on top of other taxes how is our money being used is our money only good for the first lady & her 25 colleagues. when will we start funding our own projects currently we have so many taxes and almost all the subsidise have been scraped off MMD had a reason to borrow because they didn’t impose so many taxes on people and they subsidised a lot of things this time around the government will take almost half of your hard earned salary on top of other taxes how is our money being used is our money only good for the first lady & her 25 colleagues. when will we start funding our own projects currently we have so many taxes and almost all the subsidise have been scraped off MMD had a reason to borrow because they didn’t impose so many taxes on people and they subsidised a lot of things this time around the government will take almost half of your hard earned salary on top of other taxes how is our money being used is our money only good for the f!rst lady & her 25 colleagues. Heartless thieves who have impoverished all of citizens who don’t belong to their looting syndicate.